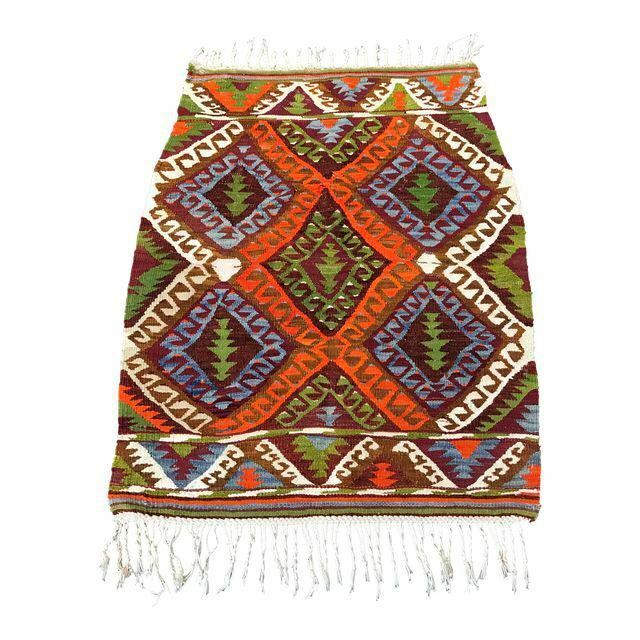 Vintage Turkish Handwoven Wool Kilim Rug- 3' x 3'8'' Feauturing diamond patterns ; this bright colored kilim rug serves as your home's primary inspiration. The Vintage Wool Kilim Rug features a bright diamond pattern and a unique hand-woven colorful design. This bright and beautiful design is sure to liven up any room in your space that is missing a little oomph.